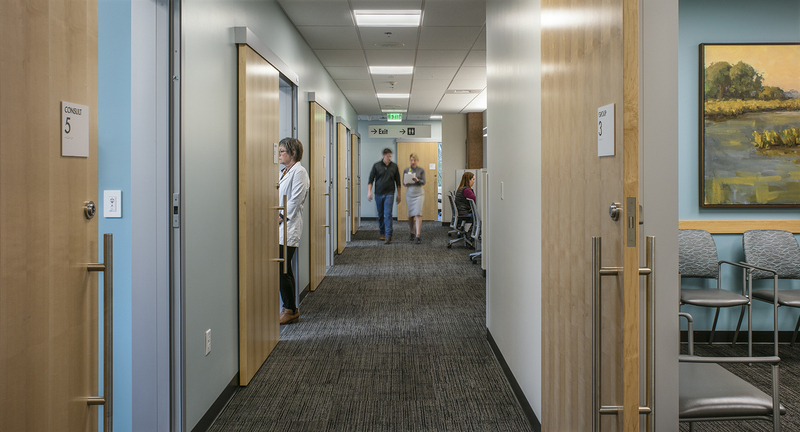 A full remodel to the first and second floor of the existing, occupied medical and dental office building. 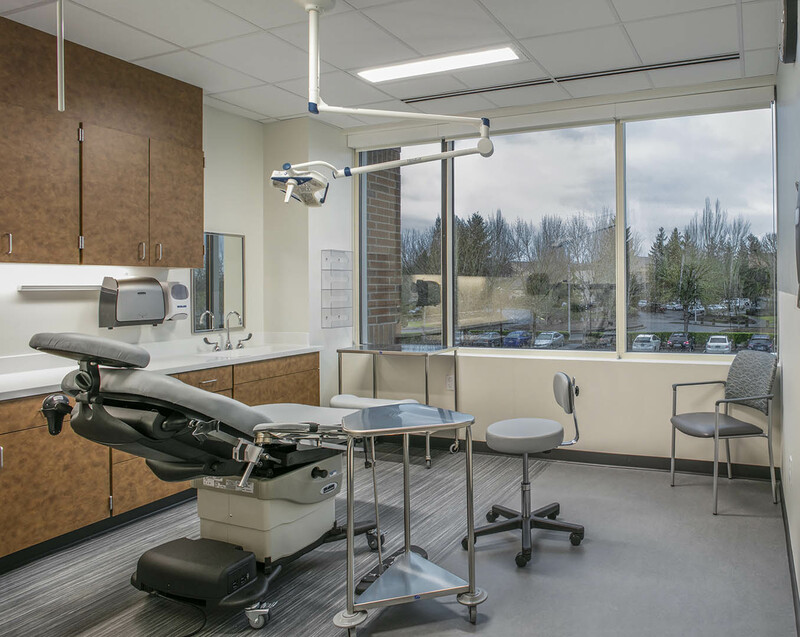 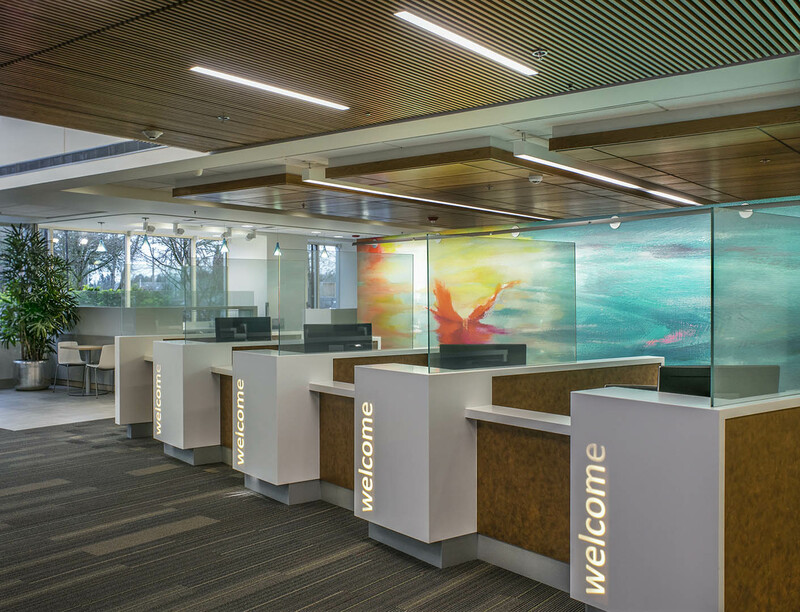 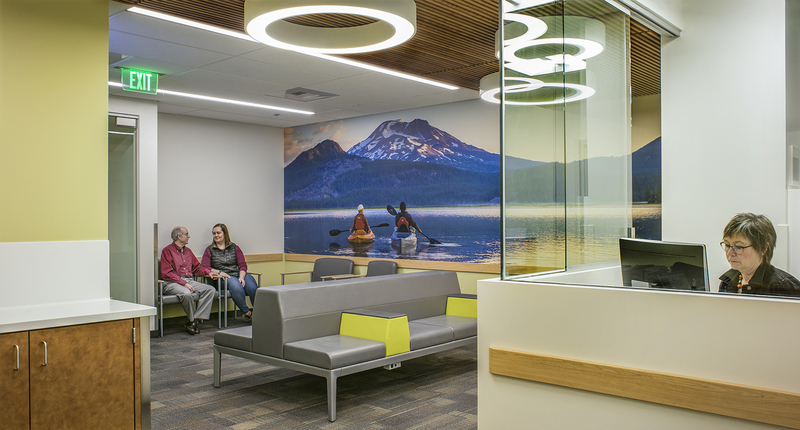 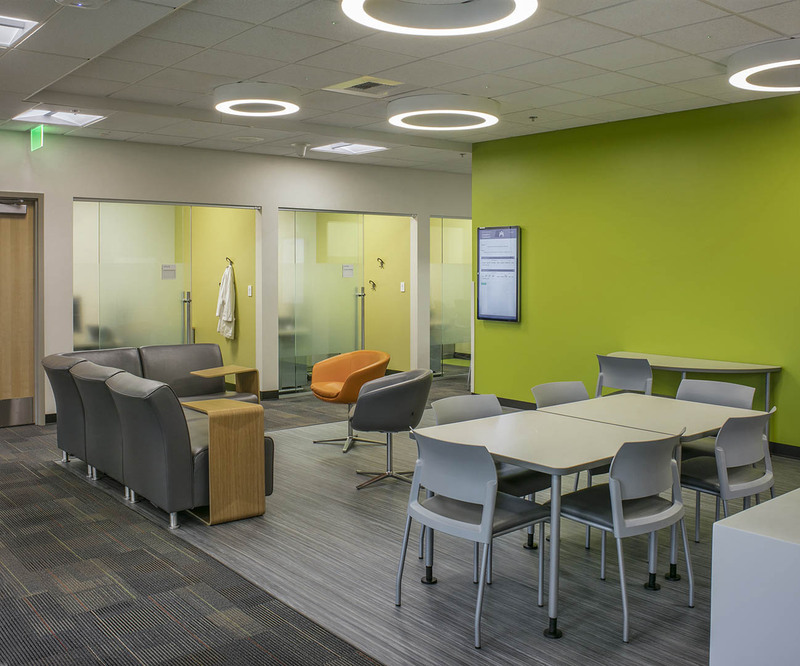 The remodel included infrastructure improvements, and tenant build-outs for dermatology, behavioral medicine, and physical therapy. 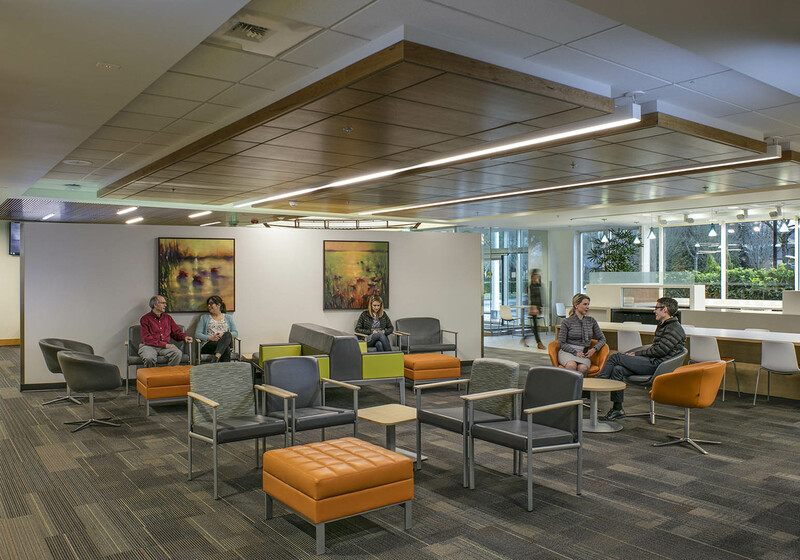 The lobby received a modernized face lift and includes a new café as a central gathering space. 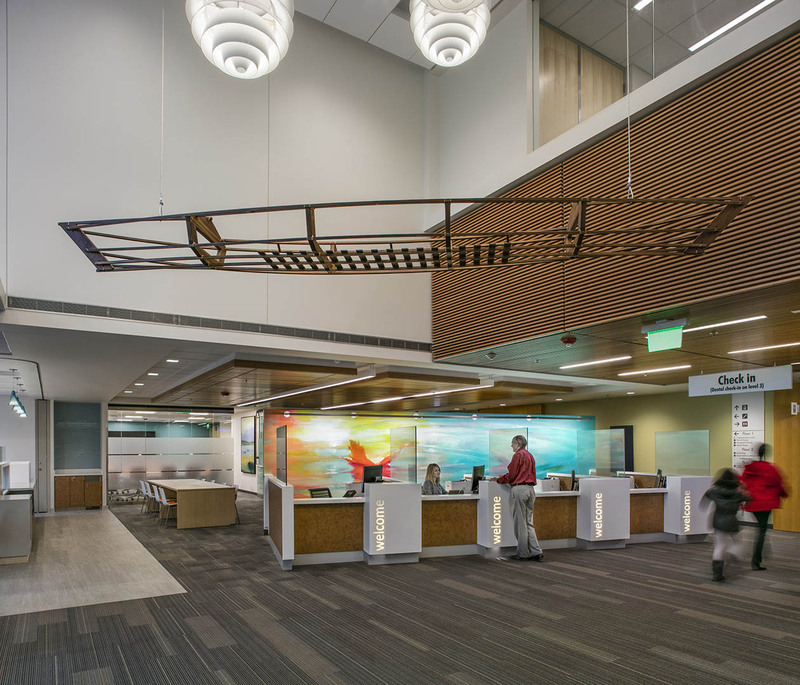 Colorful art is splashed throughout the building, and the lobby features a wood canoe and painted oars to honor the history of the area.